The approach to Hammerhus Castle. In 1149, the danish king gave most of Bornholm island to the archbishop of Lund. The medieval church was a strong political power and ruled over large areas of land. On Bornholm, the archbishop of Hammerhus built a fortress. 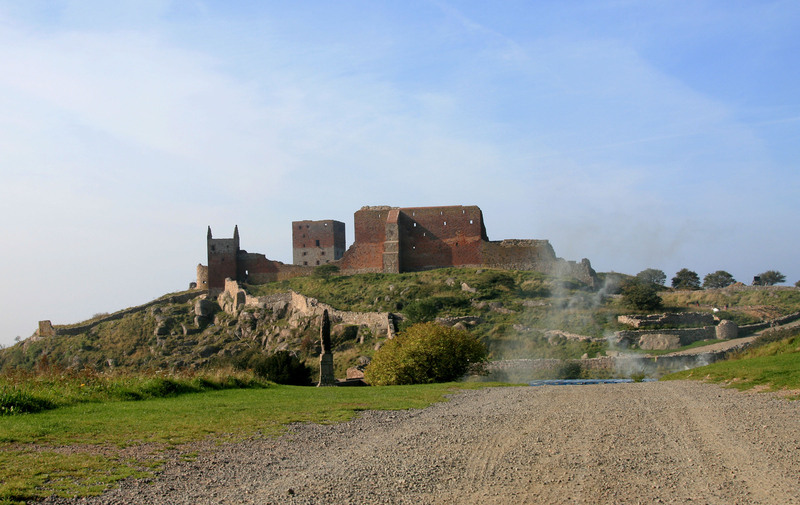 The first mention of Hammershus is in 1260. There were conflicts between the church and Danish kings over possession of the castle. From 1526 to 1576, Lubeck in Germany held the island and the castle as security. The Swedes occupied the island for short periods in the 1600’s. As it stands now, Hammerhus is the largest castle ruin in Northern Europe. The golden age for the castle was in the middle of the 1500’s.